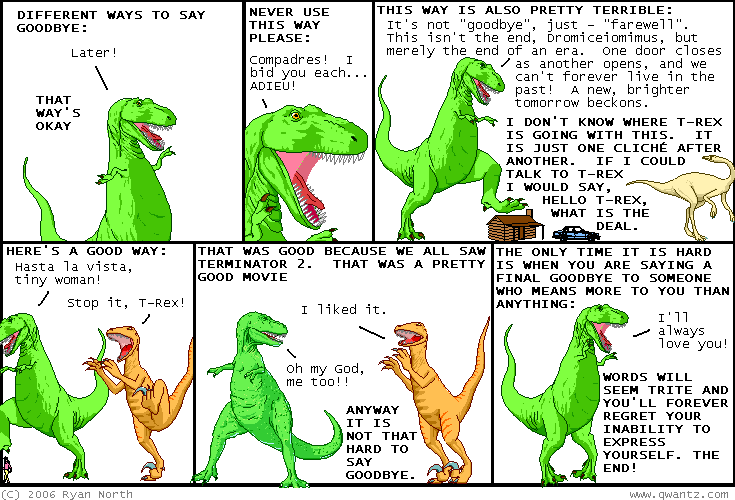 Dinosaur Comics - October 4th, 2006 - awesome fun times! October 4th, 2006: Whoah, James sent me this image based on yesterday's comic. Thanks James! You turn my dreams into reality.